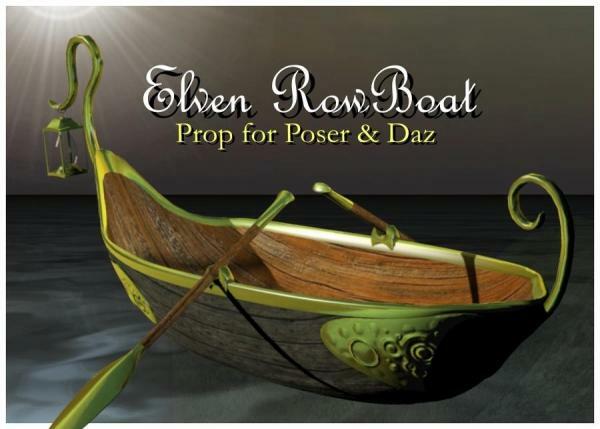 Elven rowboat with Poser and Daz Studio materials. Christmas freebie! :) Many thanks to ReliX for the GREAT help!!! Love the boat and the lantern so much! Thank you so much! Linwelly (4 years ago) Inappropriate? DigiDotz (4 years ago) Inappropriate? menka (5 years ago) Inappropriate? Saruna (5 years ago) Inappropriate? Kaytee (5 years ago) Inappropriate? Nice! Thanks for the prop! MagicWeaver (5 years ago) Inappropriate? Hazel (5 years ago) Inappropriate? Thank you for providing this. I haven't gotten a chance to use it yet, but I have looked at it lovingly. Thank you for all your generosity. maruchina98 (5 years ago) Inappropriate? mg (5 years ago) Inappropriate? Wow that's so cool I might actually use it :P Really though I already have plans for it, thank you! Jeanette Thompson (5 years ago) Inappropriate? Very nice boat! Thank you for this nice gift!